My new fabric range Floral Hues has been released and I’m just so excited for you all to see it! 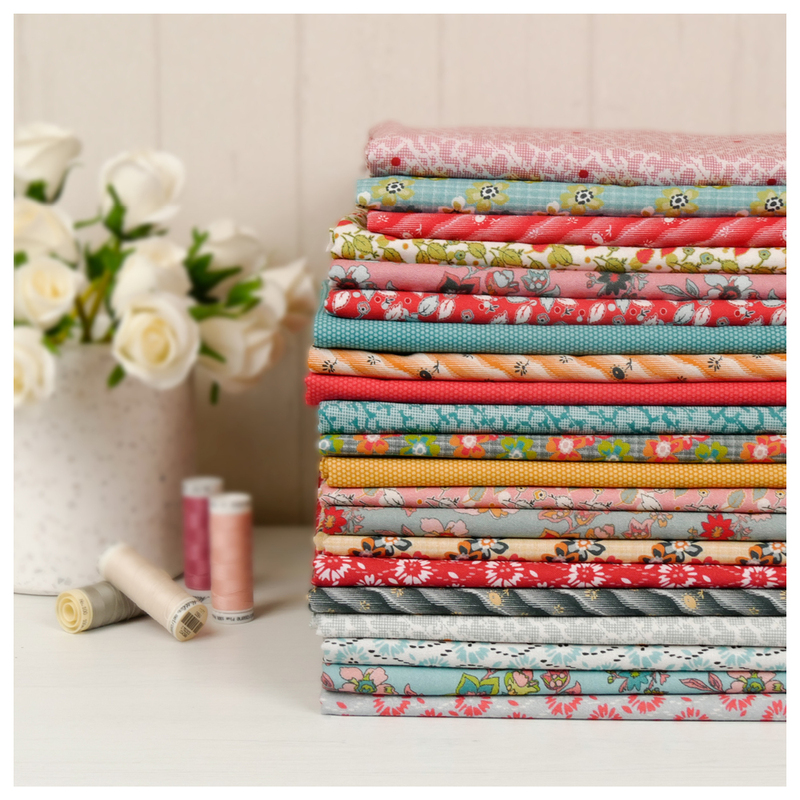 Floral Hues is a beautiful lawn collection that is a follow on from my Linen and Lawn range. Its colour palette is very similar, meaning the two collections work beautifully together. I love the strong use of pink and blue married with touches of gold, green and grey. This modern palette aligns with Home Decor trends and gives new life to these reproduction prints. 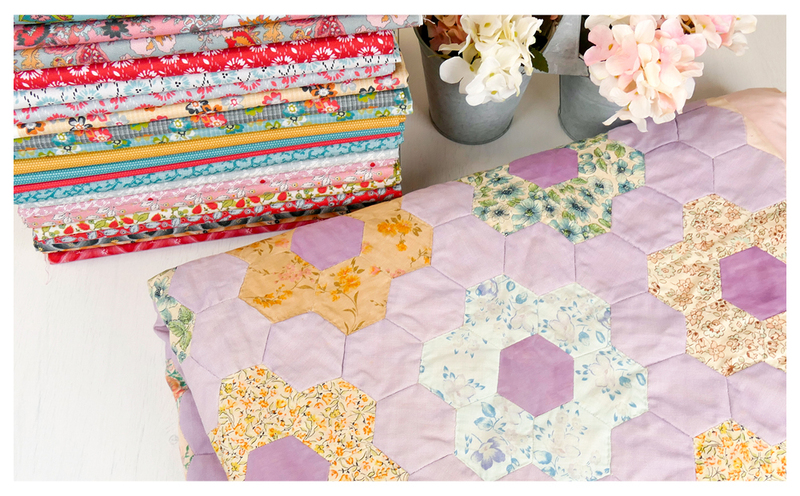 The designs in this range are inspired by reproduction fabrics found in my collection, many from a quilt my grandmother made years ago. I love drawing inspiration from my grandmother’s quilt and reworking the designs to make them accessible to a new generation of sewers. I love working with lawn fabric because it’s fine and soft. With lawn’s increasing popularity comes many collections in the marketplace, making it easy to mix and match to create the scrappy look which I love so much. Lawn also has a beautiful drape for those of you who love to make clothing! 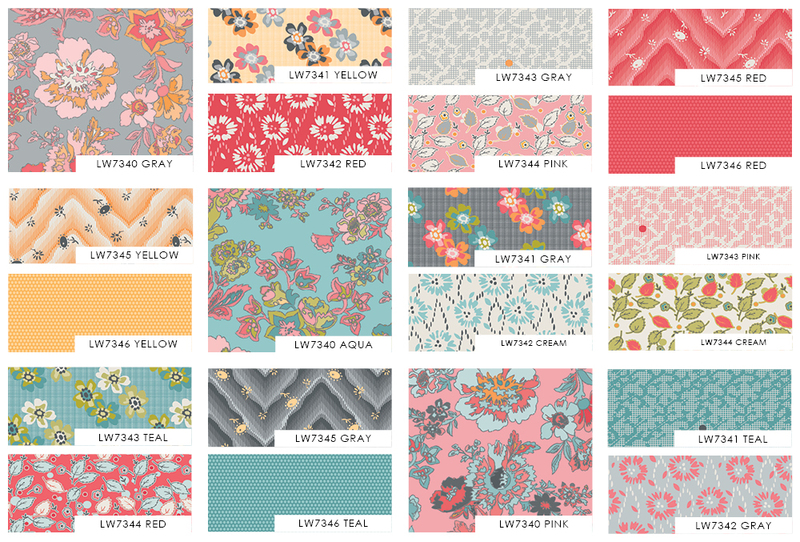 Floral Hues is a wonderful range to work in. I wanted to create a few projects to showcase this amazing lawn range as well as update a few of my older projects. 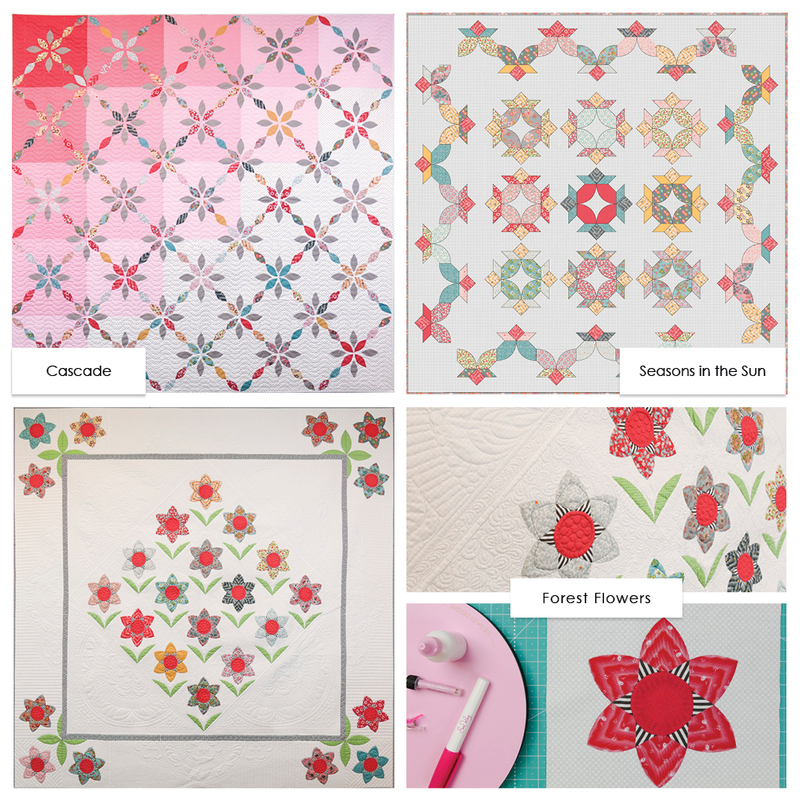 I created three new quilt patterns for Floral Hues, including Cascade, Seasons in the Sun, and Forest Flowers. With the help of a few friends I updated my Sew Necessary Compendium, Clamshell Organiser and Clamshell Sewing Keep. I have also created a quilt called Sundial. 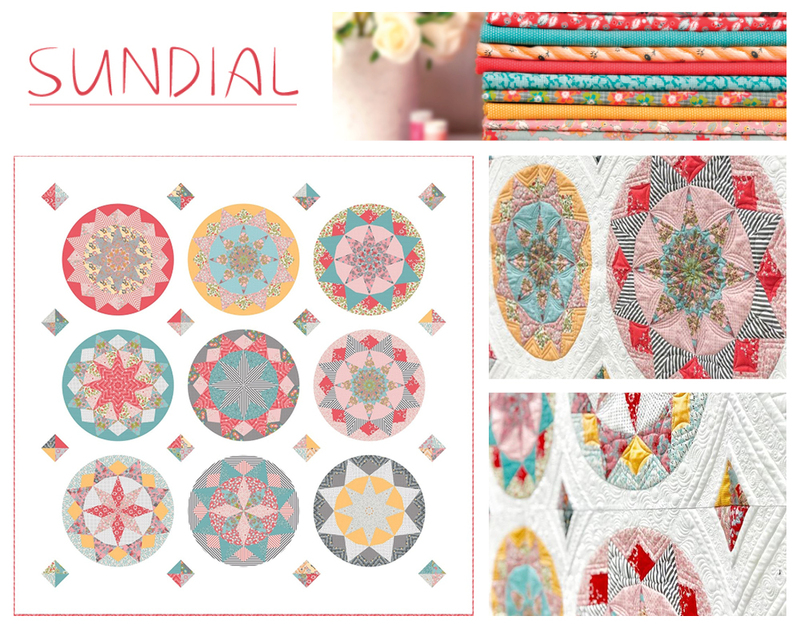 Sundial is an English Paper pieced quilt which contains a brand new shape combination and it is great for fussy cutting. This quilt is ideal for running as a Block of the Month – shops can contact my admin team for a cut list if you want to run it in your store. 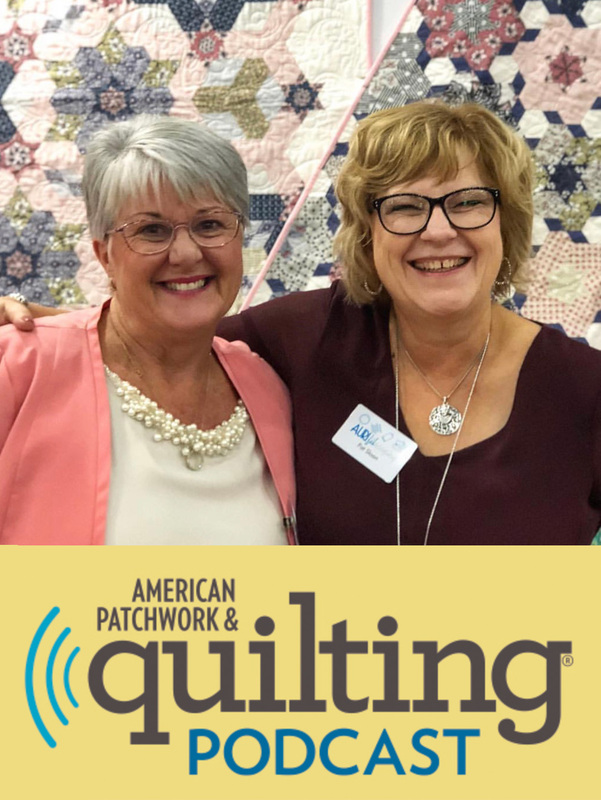 Patchwork With Busyfingers is running Sundial as a BOM, click Here to sign up. 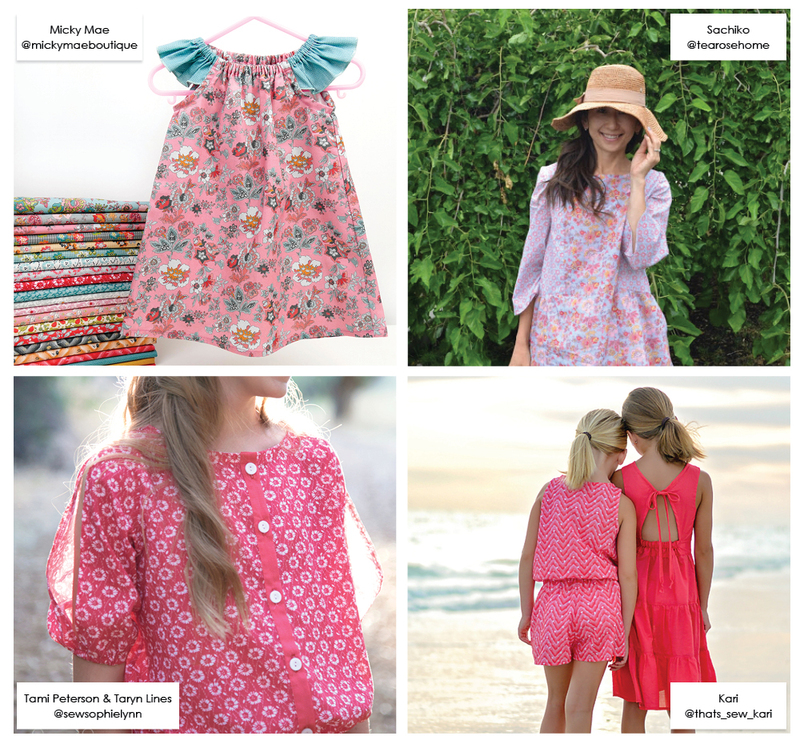 If you want to see more of Floral Hues have a look at the Look Book Millhouse Collections has created Here! 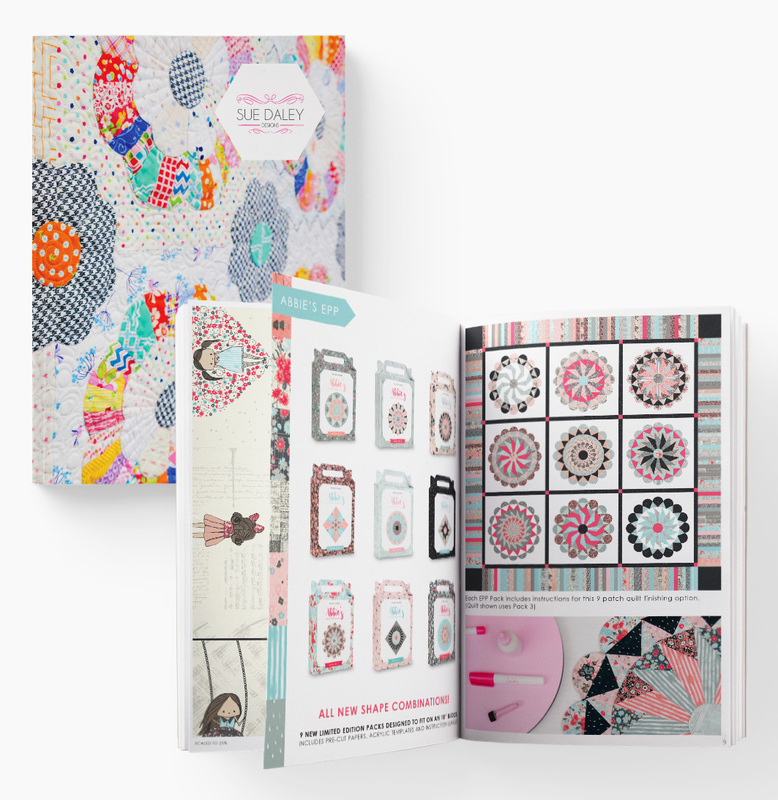 There are some awesome projects people have created using Floral Hues featured in the Look Book. I hope everyone enjoys this collection as much as I do. 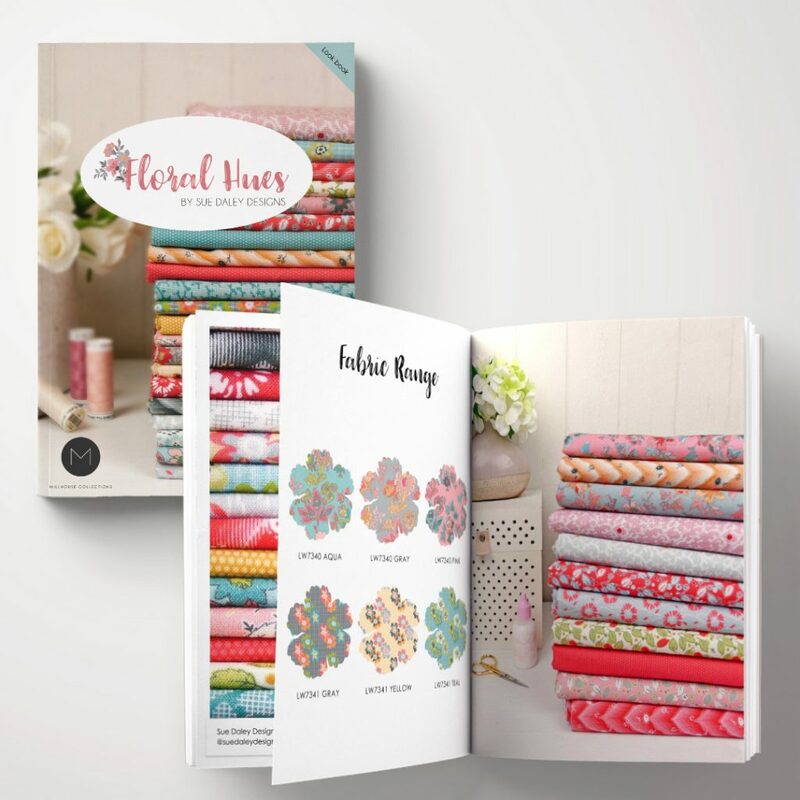 If you create something using my new range please tag me in your pictures and use the hashtag #floralhuesfabric. I can’t wait to see what you will make with it!